To fully understand why the Kirin 970 and Neural Processing Unit will make Huawei’s next phone amaze-balls, you have to first understand phone processors. Don’t worry – this isn’t going to be some boring lecture about electrons and transistors – let’s break it down to something simple. 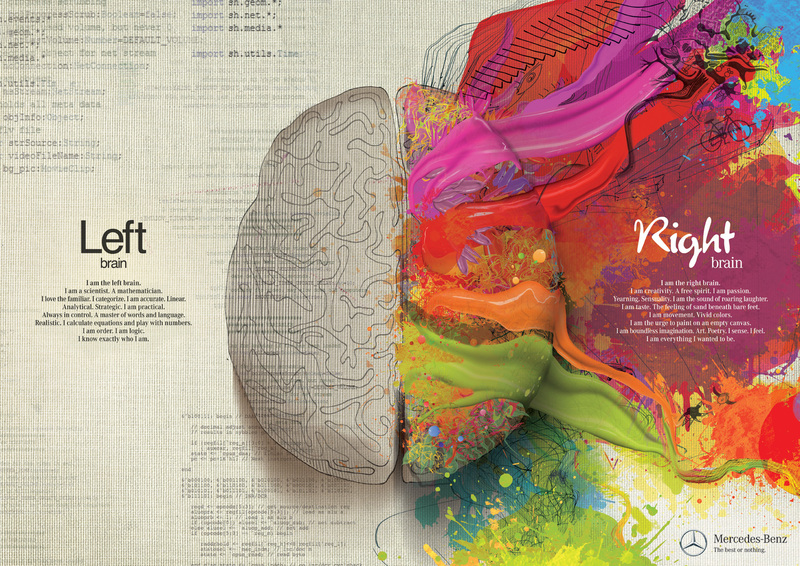 Humans have a left brain and a right brain which are used for a variety of tasks. The left brain does mathematical, non-creative tasks well while the right brain excels in creative tasks like drawing a picture or creating a sculpture. Likewise, the phone’s Central Processing Unit (CPU) is built to perform extremely complex mathematical tasks, while the Graphics Processing Unit (GPU) is built to perform graphical-related tasks like displaying a picture, movie, or beautiful CGI-like landscape in a mobile game. Now you’ve heard about Artificial Intelligence and mobile assistants right? Google Assistant, Amazon Alexa, Apple’s Siri, Samsung’s Bixby and what not. Every time you go ‘Hey Siri! Show me my photos taken in September”, or “Ok Google, show me how to get home”, your assistants perform a series of extremely complex tasks behind the scenes that use mix of the CPU (left brain) and GPU (right brain)’s power. Occasionally, the phone connects to the companies’ cloud services (a collective group of brains owned by Google/Microsoft/Apple) to process these requests as the CPU and GPU power on the phone is not powerful enough. In a nutshell – these assistants are useful, but they are limited in performance by the phone’s CPU and GPU’s power, and often have to rely on a company’s cloud services to finish complete tasks. What if someone designed a chip that specalised in AI tasks, while freeing up the CPU and GPU and cloud services to do even greater things? Enter Huawei’s Kirin 970’s neural processing unit. This is not a left brain or right brain – but rather, a completely new organ grown (or in this case, built) specifically to excel at completing AI tasks efficiently while using low power. Get this – it’s half the size of the CPU, but provides 25 times the level of performance in AI tasks and uses 1/50 less energy. How does it compare to competitors like the iPhone 8, which has a neural engine for AI tasks? According to Huawei, the neural engine on Apple’s A11 Bionic chip draws its processing power from the GPU which makes it good for AI-related tasks, but not great, compared to the Kirin 970 NPU which is purpose built specifically for AI tasks. To illustrate Huawei’s breakthrough performance with the Kirin 970 and NPU, Huawei put the latest flagship phones in the market through a test benchmark designed to assess a phone’s performance in AI tasks – such as recognizing elements in an image and naming them correctly. As you can see, the Kirin 970 excelled in Huawei’s own benchmark software and beat the rest of the chips soundly. Don’t believe it? Check out this live video demonstration of a Kirin 970 demo platform crushing the competition. Huawei’s latest flagship phone, set to be unveiled on 16 October, uses the Kirin 970 and will be the first in the world to sport on-board AI processing capabilities with the NPU. Okay that’s great – but for the everyday joe, what can AI do for us? You’ll get Dual SIM functionality with full LTE support on both SIM card slots, and top of the line LTE speeds on BOTH slots. No more using 4G on one slot and 3G on the other! You will get better sounding calls. The phone will use a form of AI noise reduction with the NPU and premium audio components to enhance voice and reduce background noise on calls, as well as improve speed recognition and sound recording. Noise reduction is typically very difficult – it’s easy to isolate voices from background noise, but not easy to seperate background noise from the intended voice. The Kirin 970’s NPU promises to excel in this area. Huawei tested the voice recognition on cars and AI processing alone improved the voice recognition success rate from 80% to 92%. You’ll get better sounding music if you have high res music files – the Kirin 970 supports full path, 32bit 384k HD lossless output from the phone’s Type-C port. This sounds great, but it’s only one step in Huawei’s long game to take phone computing to the next level. Huawei is currently working with selected third party developers to explore how third party apps can leverage on the purpose-built NPU, and we should see some more interesting software innovations from the company and its partners if their new chipset makes the mark. The Kirin 970 is a very promising processor with amazing features, and it goes without a doubt that it could one-up the iPhone 8 and X, Samsung Note 8 and LG V30 if Huawei pairs it up with solid hardware and software on its upcoming phone. Will it actually deliver real-life, top-notch AI performance? We’ll see when Huawei unveils their latest Mate phone in Munich on Monday. Mr Eric Zhou, Product Marketing Director (Huawei Kirin Chipset) proudly showing off the Kirin 970. Now isn’t he a happy camper? Stay tuned to Thirty Seven Tech for the latest news on the new Mate phone, Huawei, and other smartphone innovations in the market. Credits to Huawei for the presentation and images.